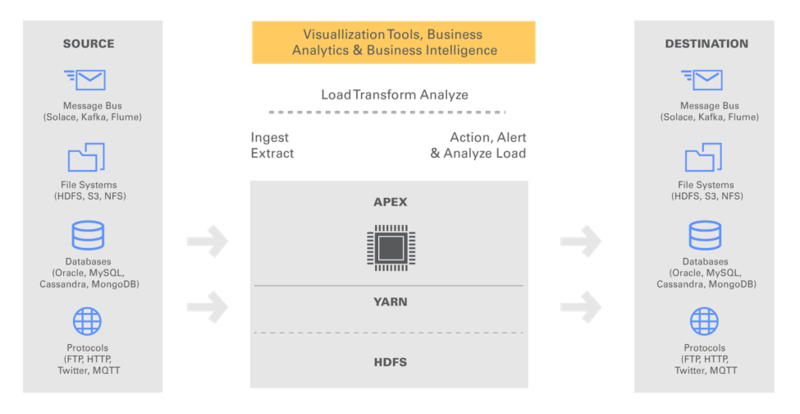 Apache Apex is a Hadoop YARN native big data processing platform. It was released as industry’s first YARN native engine. This enables real time stream, batch processing. Installing Apache Apex With Hadoop Demands Meeting Prerequisites Including Apache Hadoop, JDK 7, Git and Maven. In other words, you need to make sure whether you are going to use native Apache’s original distributions or tweaked versions like from Cloudera, Hortonworks etc. As basically we are writing guides for who are towards sysadmins, if you are towards real data science works i.e. data processing, you possibly find easy to spin virtual appliance. Because, for the total work in our way, one have to install Apache Hadoop, may be Apache BigTop. For data processing itself, it is probably too much lengthy way except for need of real deployment. Minimum theory reading needed to do actual tests with Apache Apex family. Also, the Apex CLI needs to be run from /apex-core/engine/src/main/scripts directory as script. That often confuses the new users. This Article Has Been Shared 9727 Times! Installation On Servers Can Be Made Easy With Automated Deployment of Apache Hadoop & Big Data Softwares With Ansible, Chef Like Tools. We Can Plan Building Big Data Analytics Solutions In The Cloud With Tools From IBM For Cost Reduction, Simplicity & Using Advanced Features. What is IBM Data Science Experience (DSx)? What is IBM Data Science Experience (DSx)?It is a platform for data science for working with RStudio,Spark,Python on Cloud,Server or Desktop. Cite this article as: Abhishek Ghosh, "Installing Apache Apex With Hadoop," in The Customize Windows, May 23, 2018, April 21, 2019, https://thecustomizewindows.com/2018/05/installing-apache-apex-with-hadoop/.